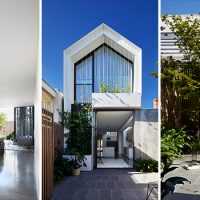 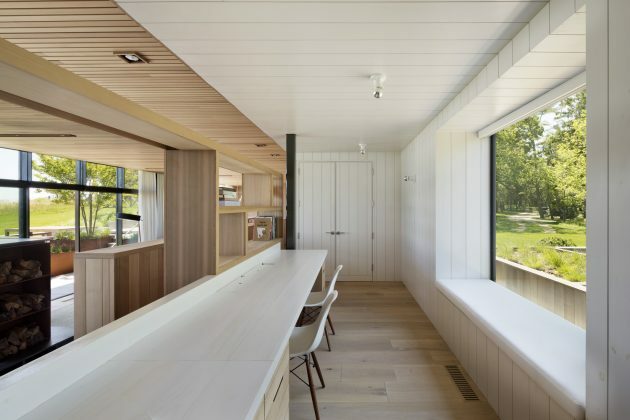 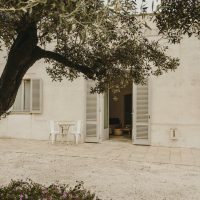 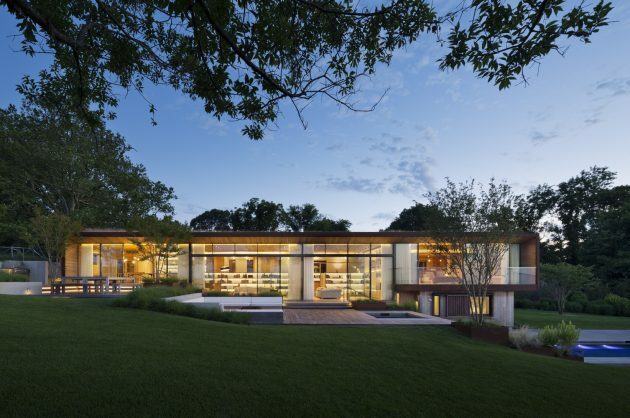 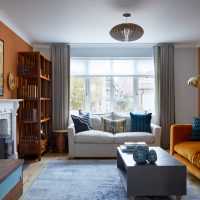 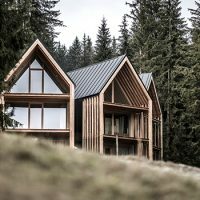 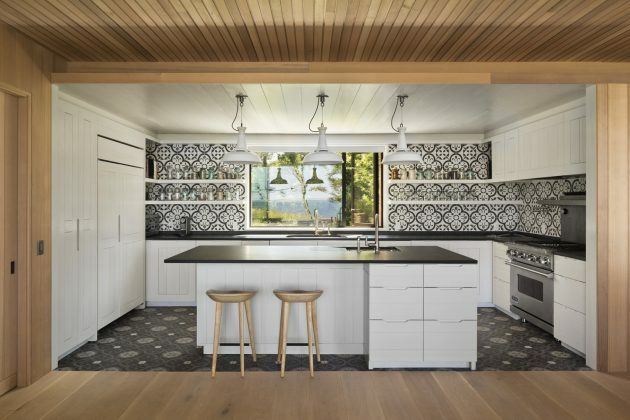 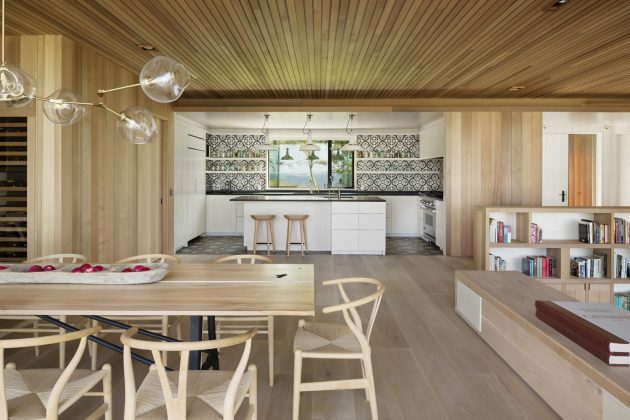 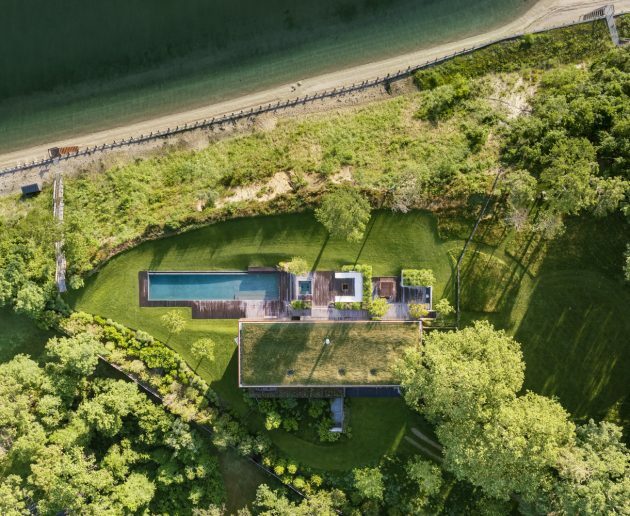 Studio Mapos is a New York City-based architectural firm that has managed to blend a modern holiday home into a lush hill that overlooks Long Island Bay. 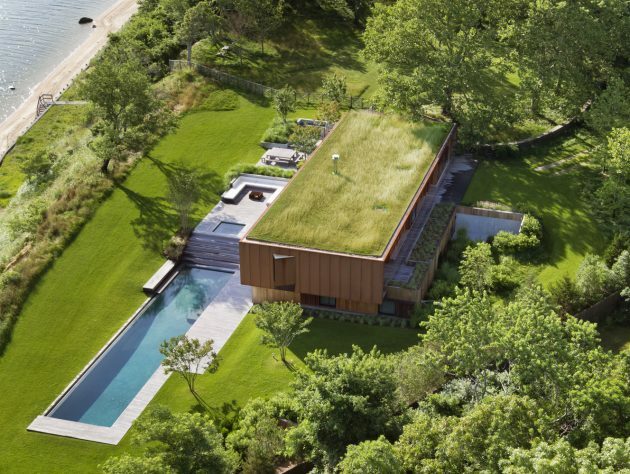 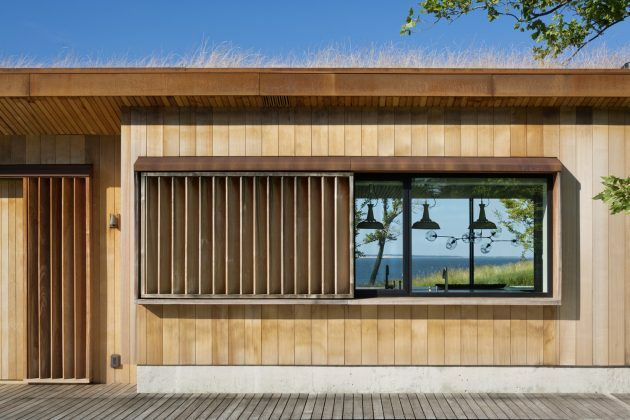 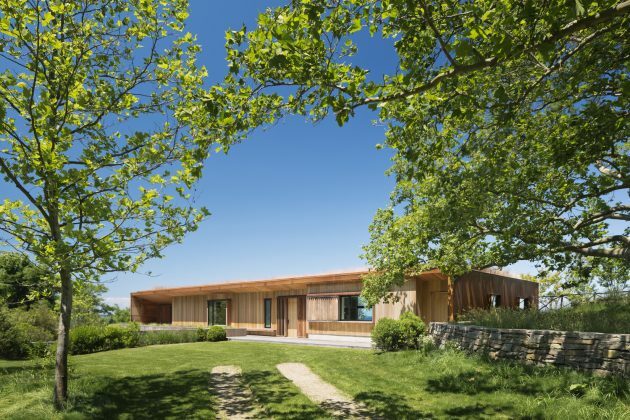 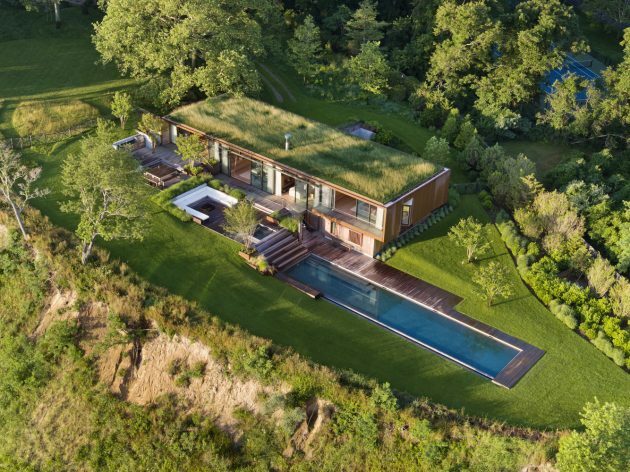 Located in Hampton Bays, New York, the Peconic House is camouflaged with a green roof topped with grass while the rest of it is comprised of steel, concrete and untreated wood that matches perfectly with the surroundings. 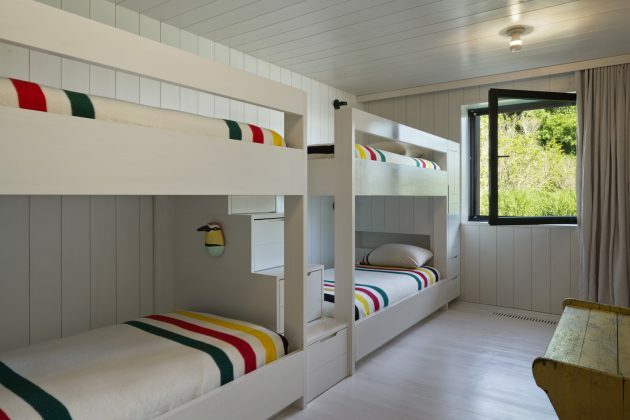 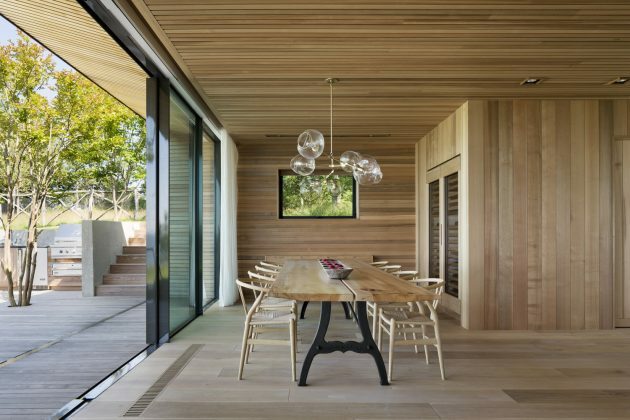 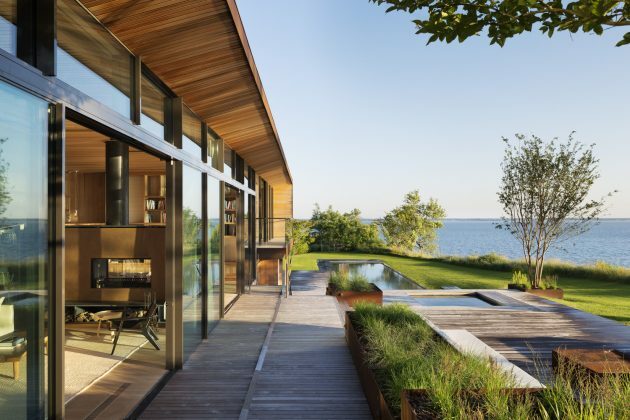 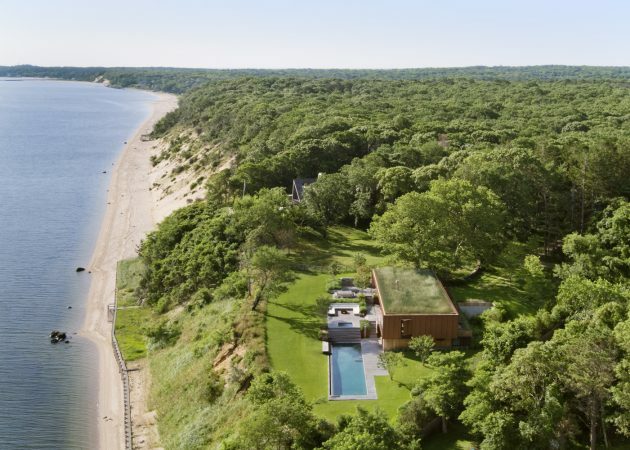 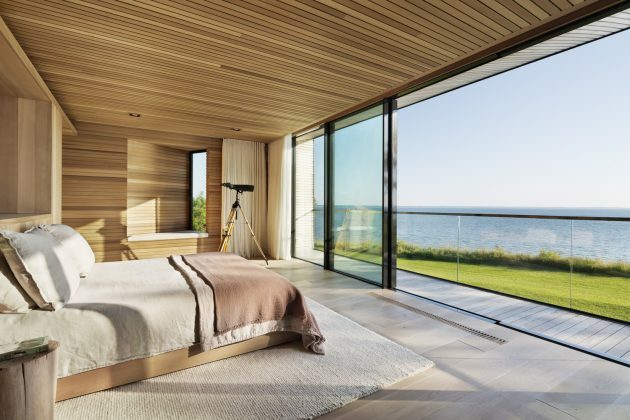 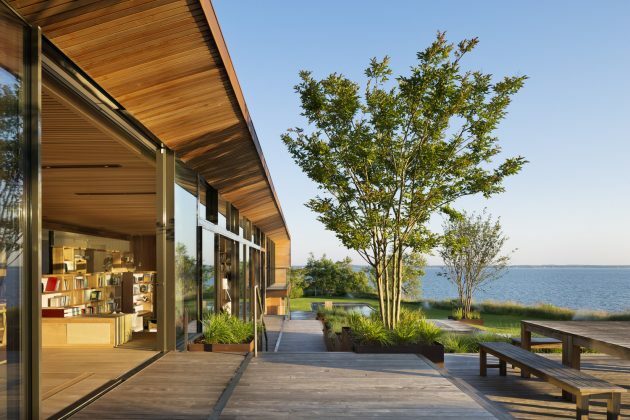 The 4,000 square foot home offers fantastic views of Peconic Bay through its glazed surfaces that let sunlight in as well as from the rather large swimming pool and beautiful outdoor decks.